Two Valparaiso University professors are partnering with colleagues from Brown University and Smith College to advance the field of data science education, thanks to a $199,040 TRIPODS+X grant from the National Science Foundation. 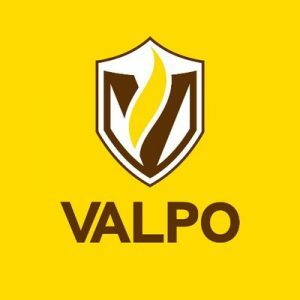 Valparaiso University will receive more than 50 percent of these funds and serve as the lead institution for the collaborative effort. The TRIPODS+EDU: Investigations of Student Difficulties in Data Science Instruction is one of 19 collaborative projects supported by NSF. Valparaiso’s Karl Schmitt, assistant professor of mathematics and statistics and director of the college’s data science program, and Ruth Wertz, assistant professor of general engineering, will serve principle investigators. According to the proposal, initial data science teaching practices have been drawn from computer science and mathematics. As the need to extract meaning from data becomes increasingly necessary in a myriad of fields, the research will advance data science education to meet the needs of students and future professionals in this specific discipline. The research project, which also will include Valparaiso students, will survey current data scientists at E-Trade, Pandora, Google and other leading companies, ensuring that the research project will incorporate cutting-edge technical topics and current workforce demands.